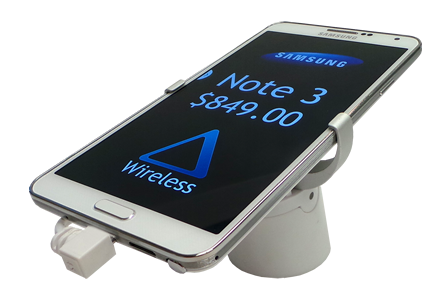 SmartCircle unleashes the power of each merchandised smartphone and tablet. Through our digital price tag and retail demo mode solutions we deliver the most interactive, engaging digital marketing experience directly to the mobile display. Our leading Retail Display Management [RDM] software also ensures your marketing campaigns are delivered with the highest accuracy based on SmartCircle’s uptime and planogram compliance monitor. Our integrated solutions are designed to strengthen phone manufacturers’, carriers’ and service providers’ partner propositions. Our mission is to attract customers to your product, keep their attention and provide an interactive experience, educate the customer on costs and features along with providing the formula to improve the response of each, and every marketing campaign from this day forward! 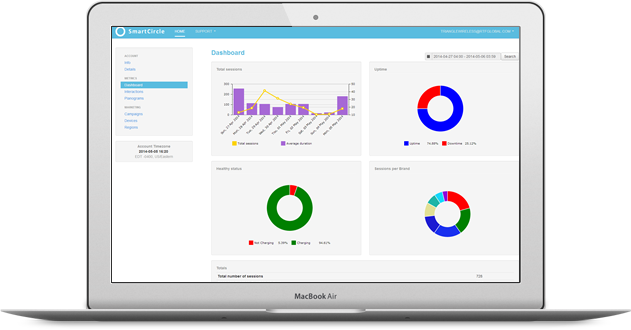 Easy to use as well as manage the wireless, mobile device management solution can be configured in under 10 minutes. Seamlessly runs on all operating systems such as Android, Apple, Blackberry, Microsoft and provides comprehensive device management, metrics data collection and media control. 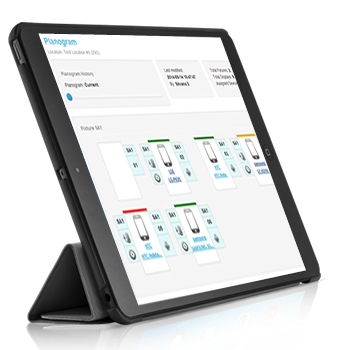 A perfect solution for managing store security, monitoring Smartphone and Tablet charge, alarm status as well as ensuring perfect Planograms and flawless Display media campaigns. Offers simple digital media and content management control assuring Smartphone and Tablet marketing campaigns are easily added by selecting - Device, What, Where and When. Collects accurate metrics data and customer activity through the on-board sensors found in the merchandised Smartphones and Tablets. 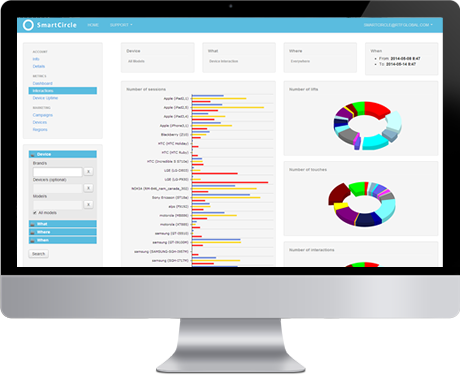 Gives unrestricted web based access to analyze store Planograms, charge status, recent alarms, manager logs, customer activity and digital marketing campaigns. Access the entire SmartCircle network for a low monthly subscription. SmartCircle collects interactions from all displayed devices and clearly outlines trends at the Metrics Enterprise Portal. Compare multiple regions and apply the formula of successful areas to one’s that are struggling. Quickly identify how your branding strategies fit across your stores and see what is trending at any moment. Measure performance and customer traffic, increase employee productivity and drive more sales. Capture data on both operational and non-operational devices, device battery levels, and device activity per hour of the day and day of the week. Heighten operational intelligence at both the store and head office levels. Metrics collected include alarm occurrences in stores, alarm triggers, and alarm patterns to preemptively prevent theft. Identify operational issues in the store and and quickly resolve. All Displays are automatically added to the network guaranteeing accurate make, model and IMEI data. SmartCircle quickly verifies Planogram compliance throughout all stores. 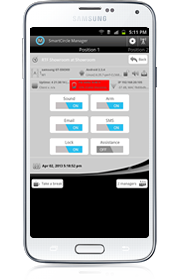 Successfully manage Display uptime and resolve potential charging issues before they escalate. Push configuration changes to the Display and Pull valuable data to ensure smooth operational flow. Restrict access to Display settings to ensure passwords are not set and languages changed. Enhance hardware security through alarm triggers such as power removal, headphone or SIM card removal . Capture photos at theft, send emails plus geo-locate the Display. The Display alarms sending out alerts to the Manager while locking the Display. To preempt shoplifting lock the Display remotely and deter theft. View Manager’s alerts as standard Android notifications in the status bar. Tap on the notification to see the fixture location and resolve the issue quickly.